ESCONDIDO — A haunting new display is available to view at the California Center for the Arts, depicting a dark moment in history that may hit close to home for many Californians. “Manzanar: The Wartime Photographs of Ansel Adams & Wendy Maruyama: Executive Order 9066” features the art of San Diego State University Professor Emeritus Wendy Maruyama and photography of Ansel Adams to examine the United States’ internment of Japanese-American citizens in the aftermath of the Pearl Harbor attacks. 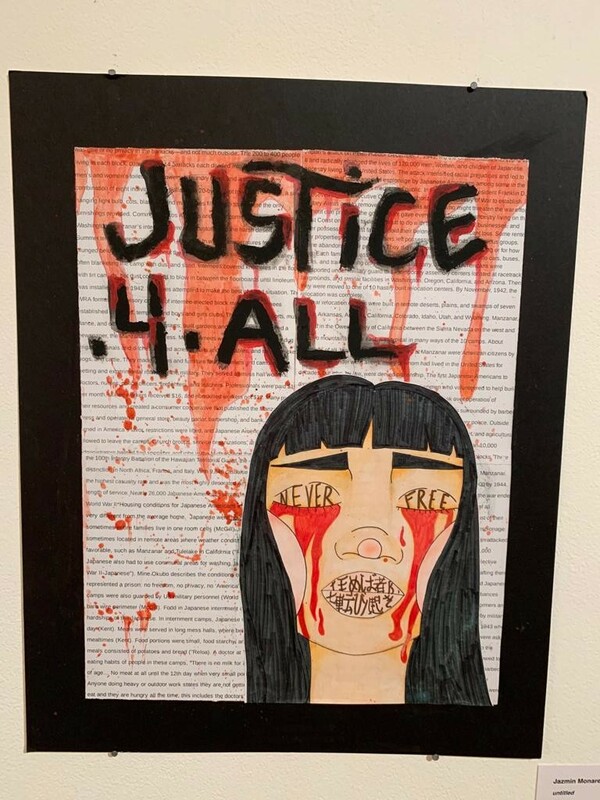 The exhibit also features art created by K-12 students from around the region. The entire display will remain at the Center for the Arts through March 10. Two internment camps in California warehoused Japanese-American citizens during the final years of World War II — Tule Lake, near the California-Oregon border; and Manzanar, located in the central inland part of the state. Adams focused on Manzanar as site of photographic documentation. “I trust the content and message of this book will suggest that the broad concepts of American citizenship, and of liberal, democratic life the world over, must be protected in the prosecution of the war, and sustained in the building of the peace to come,” wrote Adams, better known in his career for his landscape photography. Maruyama, whose art has tinges of humor and who focuses on furniture-centric pieces, has seen her The Tag Project and Executive Order 9066 art installations at a number of museums throughout San Diego County. The tags, replicas of those doled out to Japanese-Americans hauled off to camps — which even have the names of those 120,000 people sent to the camps — offer a visual representation of just how many lives President Roosevelt’s wartime policy touched. Maruyama’s own family, who at the time lived in Chula Vista, also felt the impacts of the internment policy. In response to the controversial policy, her family departed from San Diego County and sought refuge in Colorado prior to her birth. The U.S. government shipped some 1,500 Chula Vista residents alone to internment camps. Jerry Van Leeuwen, the executive director for the Center for the Arts, said that the artistic displays do not just sit as relics paying homage to the past. Instead, Van Leeuwen believes that the word “relevant” best describes what the Center for the Arts has brought to the fore. 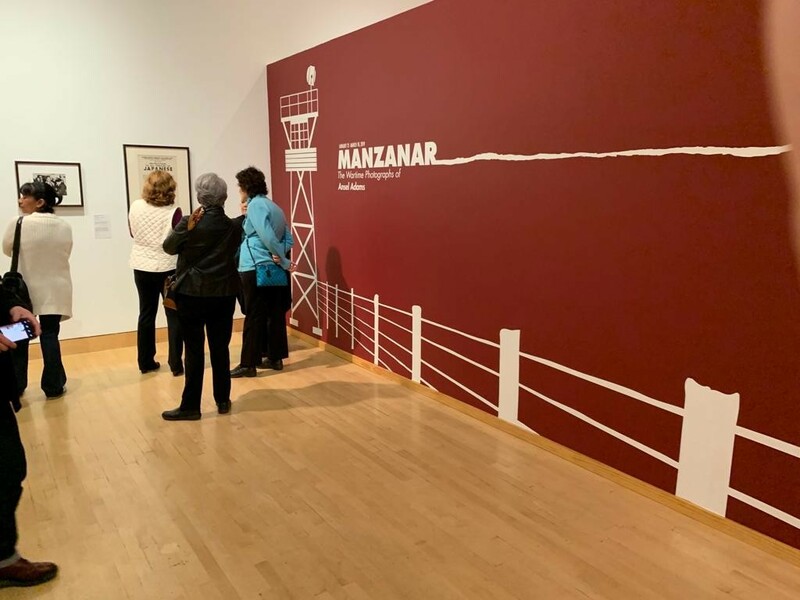 Beth Marino, museum exhibition manager for the Center for the Arts and a former student of Maruyama at San Diego State University, agreed with Van Leeuwen that direct parallels can be drawn between the exhibits on display and current events. Marino said she believes it is the role of art museums, as community civic centers, to raise difficult questions and open up dialogue about them. Elders who survived the internment camp-era attended opening night of the exhibit and answered questions from attendees. Maruyama was also in attendance. The festivities were bookended by two renditions of Japanese drumming in the Center for the Arts’ courtyard perofrmed by the La Jolla Taiko. The Japanese internment camp exhibit has multiple educational components, which include an in-depth talk led by Maruyama on Feb. 10 and a presentation by local historian Linda Canada titled “Japanese American Internment: A Local Perspective” on Jan. 27.